Caregivers and nurses often have to watch over several patients at once. When patients are asleep, nurses have to wake them to administer medications and prevent bed sores. Patients, like many people, are often difficult to wake and become grumpy or groggy if forced out of a deep sleep. If patients' sleep is tracked, caretakers can identify and take advantage of light sleep cycles to wake patients. Studies have shown that sleep quality is closely linked to immune system function, susceptibility to diabetes and a host of cardiac diseases, and mental function.There are currently no cost-effective sleep tracking devices on the market for healthcare environments like hospitals and nursing homes. Integrating a means of sleep tracking would empower care providers to consider sleep duration and quality as an additional patient metric to improve the quality of care they deliver. The group developed a sleep tracking system composed of a 3-axis accelerometer that reports motion data to a wireless microcontroller. The system is designed to be secured permanently to a mattress, where it monitors a patient’s body movements, reports whether or not the patient is sleeping, and if they are, estimates the stage of sleep. Designed for permanence, the tracker requires no setup between patients after it is initially installed. The hardware is complete and the group is developing software algorithms that make sense of the raw data they are now collecting. 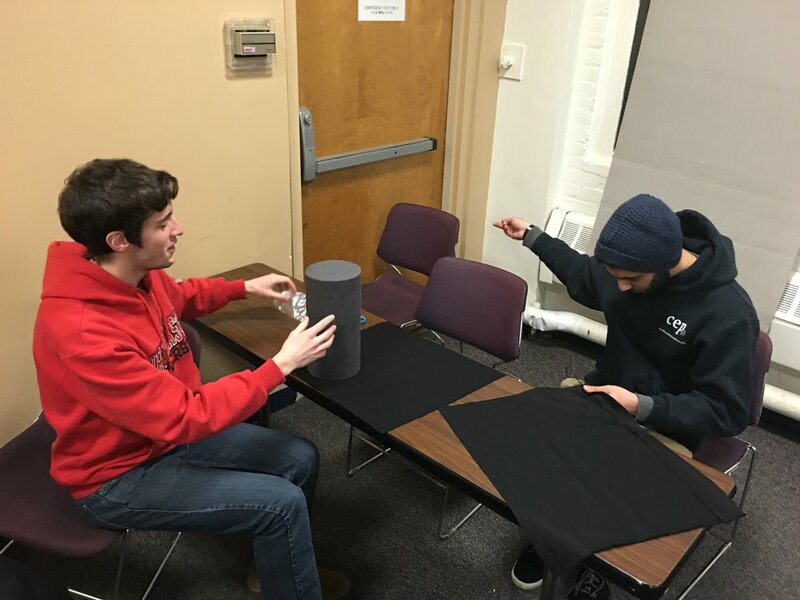 They have begun working with Northeastern’s IDEA entrepreneurship organization to understand the market, gauge interest in the product, and plan next steps. 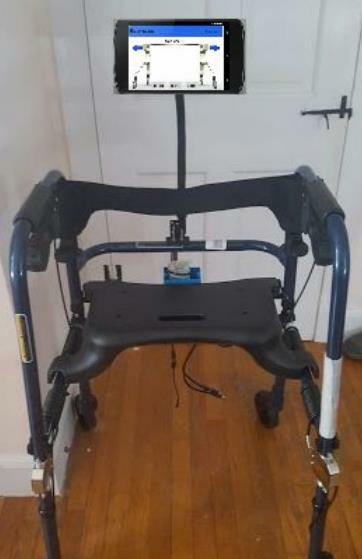 Hoyer Lifts are used in hospitals, homes, and nursing homes to move people with low mobility between positions (bed to wheelchair, chair to toilet, etc.). Conventional hoyer lifts require a second person who can manually operate the machine to assist. When a person requires assistance to operate the device that places their body where they want it, their sense of independence suffers—particularly when the bathroom is involved and privacy is a concern. In home health environments where patients have to hire assistance, there is also an additional cost concern. 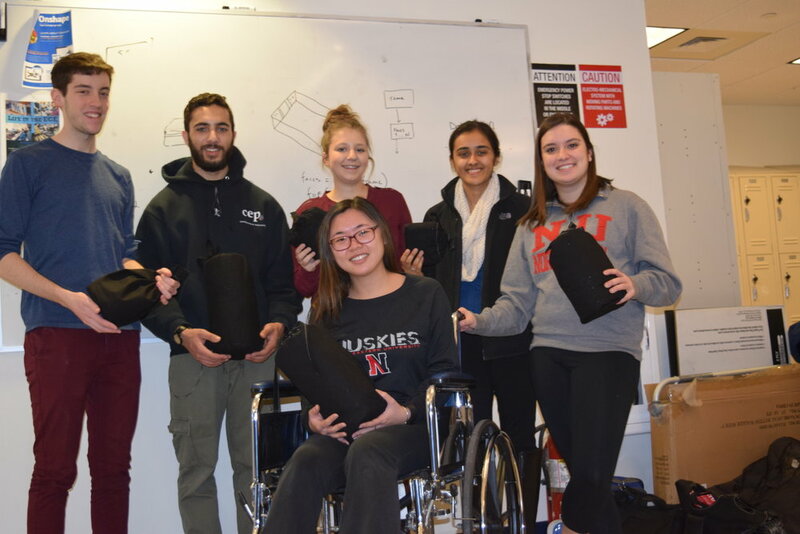 This team seeks to provide a more affordable method for paraplegic patients to exercise autonomy over their bodies. They have designed the User-Operated Hoyer Lift, which features easy to use, joystick style controls that allow the user to operate the device independently. The reduced cost and increased independence afforded by an autonomous Hoyer lift will increase users’ quality of life. The prototype consists of a standard Hoyer Lift retrofitted with motors to provide translational motion and a linear actuator to provide lift. The group designed and machined custom fasteners for these new parts. An initial prototype has been completed, and the group plans to allow end users to test the device to guide the revision process. Parkinson's Disease affects muscle control, and when it extends to the epiglottis, it causes difficulty swallowing—also known as dysphagia. When it causes someone to inhale their food or liquid accidentally, dysphagia can cause aspiration pneumonia, a life-threatening condition characterized by inflamed or infected airways and lungs. When people tip their heads backwards to drink, the probability of accidentally inhaling liquid increases dramatically. This holds true for patients with dysphagia, where the chances of inhalation are already higher than normal. Aspiration pneumonia is the leading cause of death for patients with Parkinson’s Disease, which is why there is a need for a drinking system designed specifically to prevent aspiration pneumonia. The Parkinson’s Cup is designed to make every sip like the first sip out of a normal cup—by keeping the liquid level high, the cup ensures that patients don’t have to tip their heads farther back and raise their chances of inhalation as they work through a drink. 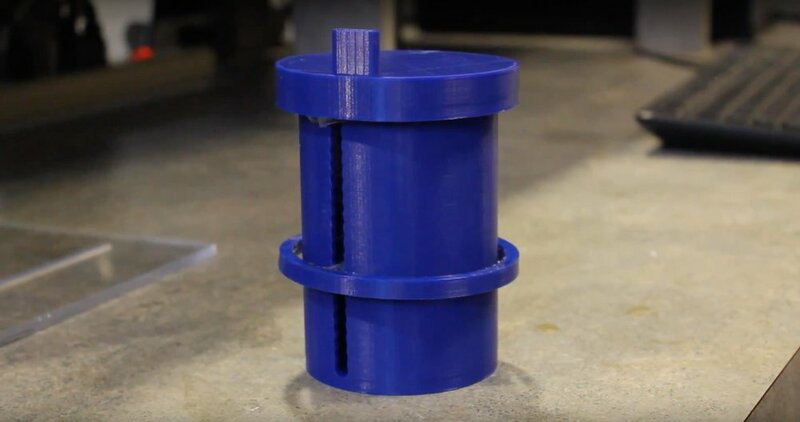 The design features a 3D printed cup with a plastic lining, which is pushed up by a moveable platform to lift the liquid inside as it’s consumed. The result is reduced risk of liquid entering the airway and traveling to the lungs. Considering the prevalence of hand tremors in patients with Parkinson’s, the cup also features a lid, which protects from spills and regulates the liquid flow to ensure that sips never become accidental gulps. 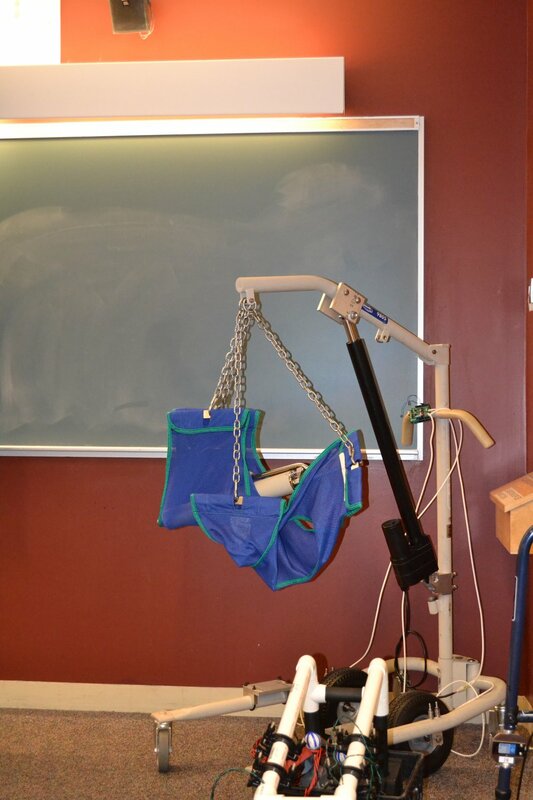 The prototype is complete and was successfully tested by end users at the Peterborough Senior Center. Children with disabilities often have limited opportunities to experience sensory stimulation. As a result, they develop more slowly than other children. Clinicians at the For His Children orphanage in Ecuador requested a device that would enhance the sensory experience of children with disabilities at the center. They wanted it to enable the children to participate in activities that engage their auditory, vestibular, tactile, and visual senses, and also to encourage them to interact with other children. The team built two sensory cubes. The first cube was designed to provide exciting stimulation for children with low tone, who need the positive stimulation and sensory system development. This cube was comprised of bright colors, bumpy/rough textures, percussion instruments, and more. The second cube was designed be calming for children with high muscle tone and high levels of stress and anxiety. The calming cube was designed with muted colors, soft/ smooth textures, calming instruments like a rain stick, and more. Both cubes were delivered to the orphanage in March, 2016. They were used successfully in therapies for the children and suggested modifications were recorded for future iterations. 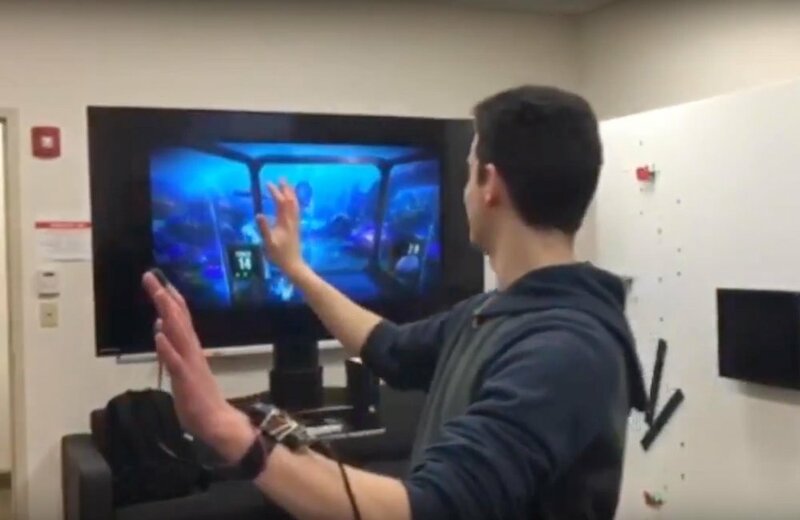 Virtual reality active videogames (AVGs) are popular physical therapy interventions for children with hemiplegic cerebral palsy because they motivate children to engage in repetitive arm movements. However, adherence to homebased AVG exercise programs is low and therapists require a way of monitoring children’s game play to adjust game difficulty and provide motivating feedback. The team developed the Wireless Home Activity Monitor, or WHAM for short. The device uses an Arduino microcontroller, a 3-axis accelerometer, and an optical heart rate monitor to measure and report heart rate and movement data. An iOS app calibrates the sensors, detects movement, and cues the player to record game information and respond to survey questions. The measurements are sent to an online database that has a web interface to display the data in readable form for therapists, who use the information to make decisions about exercise progression. 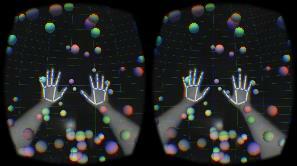 The data is also used to give users positive reinforcement during game play. The current prototype won the RISE 2016 award for innovation in undergraduate engineering and technology. The team is iterating on their work to improve the prototype. Kids with severe developmental delays are not able to use the same toys that kids without disabilities are able to use. Most of their limitations are so severe that they have very little motor control, verbal communication skills, and vision. These children have few opportunities to affect their environment and receive stimulus in response. The children at the Carter School of Boston are the one percent of disabled kids with most severe needs. 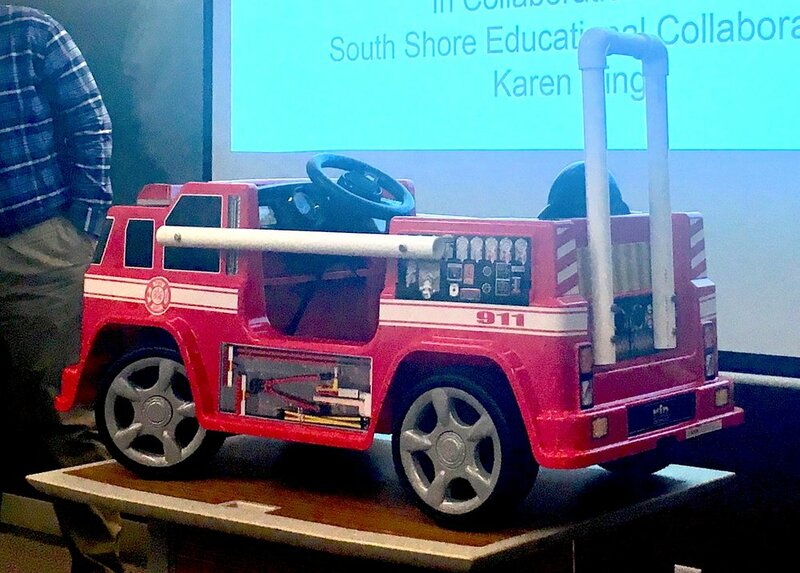 The Carter School students need a toy that meets them at their cognitive abilities, stimulates them, encourages interaction, and rewards them for manipulating their environment. 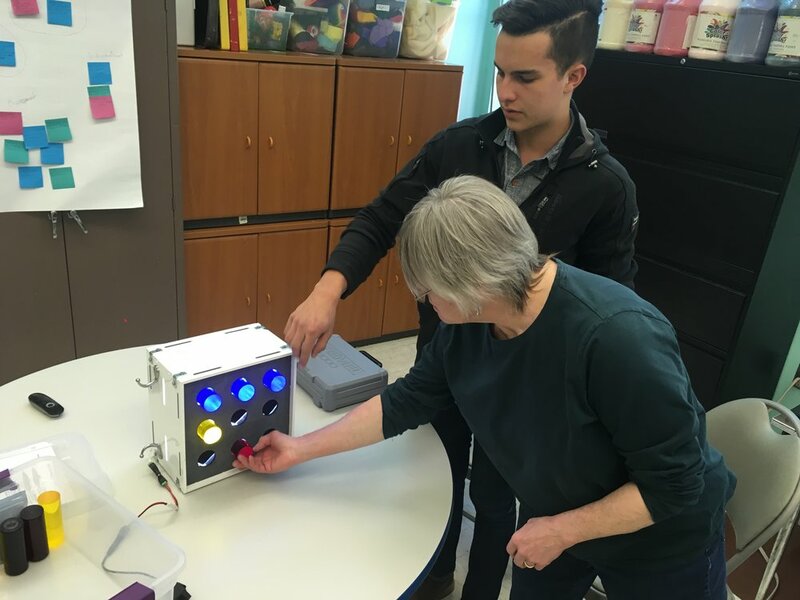 The team built a large version of the popular Lite Brite toy that caters specifically to the needs of the Carter School students, providing a way to enhance their environmental awareness more effectively than other toys available on the market. 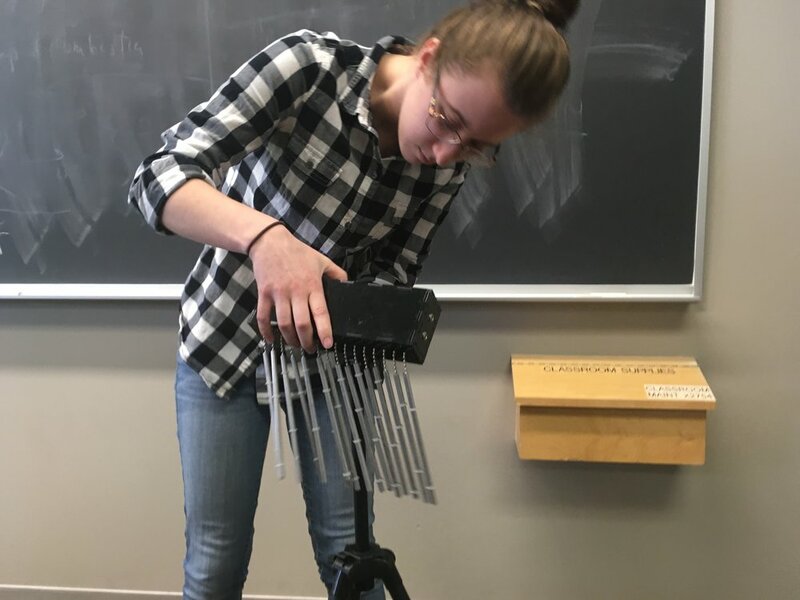 The pegs are big enough to comfortably fit in their hands, which suits the students' reduced motor control. 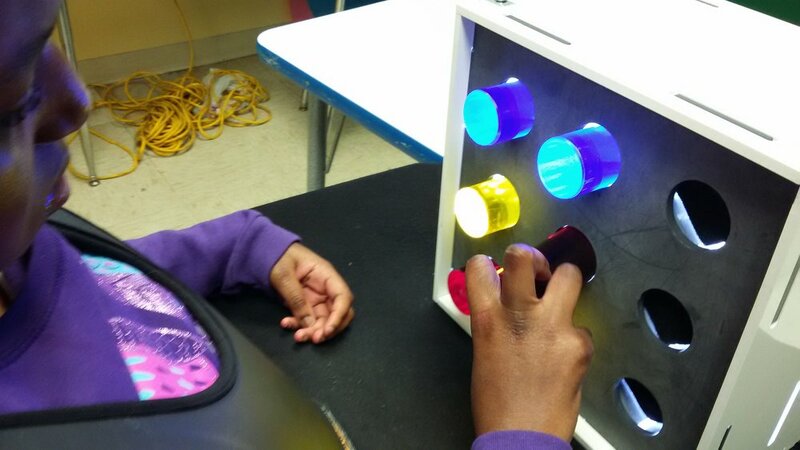 Since most of the students are visually impaired to some degree, the Lite Brite blocks the light coming from inside until a peg is inserted into one of the holes, ensuring a clear link between the action and reward stimulus. The design is complete and has been delivered to the Carter School, where it was tested by several end users. A second generation prototype featuring textured pegs and a sound element is under consideration. Diana, a 17-year-old girl with spastic cerebral palsy, spends most of her time in a wheelchair. Wheelchair users experience muscle atrophy if they are unable to exercise and bear weight on their limbs. Doctors recommend an hour of exercise daily to prevent muscle degradation; however, traditional walkers have painful pressure points, which discourage Diana from walking. Diana also disliked the attention that traditional walkers call to themselves, so she asked for an alternative that attracts as little attention as possible and offers increased maneuverability. She wanted a sense of security and control while using her walker. The goal was to design a walking system that keeps Diana stable and secure while bearing part of her body weight and walking. The prototype is based on a modified gait trainer that Diana had tried out in the past. 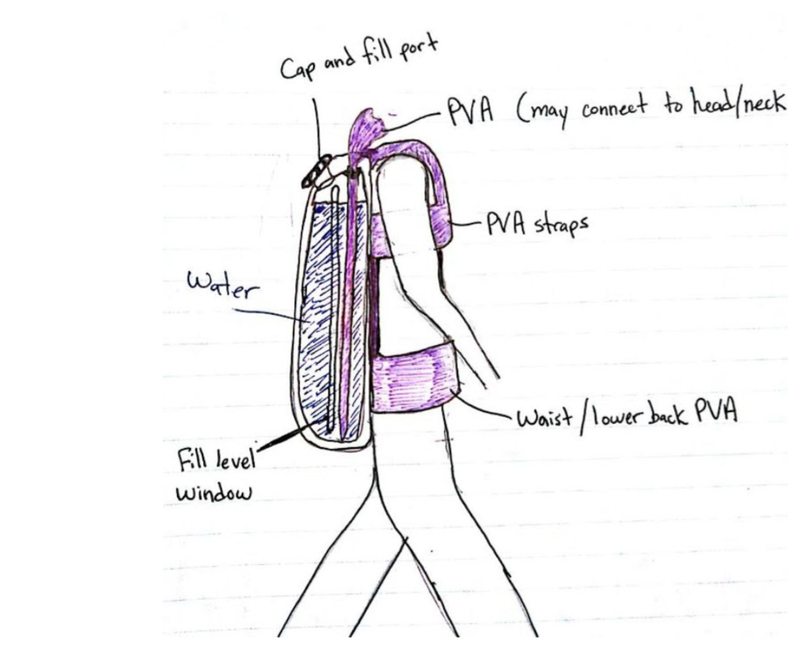 To provide maximum comfort and functionality, the team substituted the gait trainer’s default support mechanisms with a custom vest and harness. The design is mobile, can be used outdoors, and is less expensive than existing devices. The prototype is in development, and the team is receiving feedback from Diana and her father, Carry. Wheelchair users can find it challenging to control their wheelchairs in narrow areas or when backing up. In particular this can be a problem when backing out of transportation vans onto ramps or lifts. Current wheelchair technology does not provide wheelchair users spacial awareness, which can lead to falls, collisions, and serious injury. This project uses a set of sensors, a camera, and a display that attach to a wheelchair. The device lets the user see the area behind them while backing up to increase spatial awareness, much like a rear-view backup camera in newer cars. To minimize battery usage and reduce distractions caused by the device, the camera and display are programmed to turn on only when the motion sensors detect an object within a certain distance. The prototype is in development. 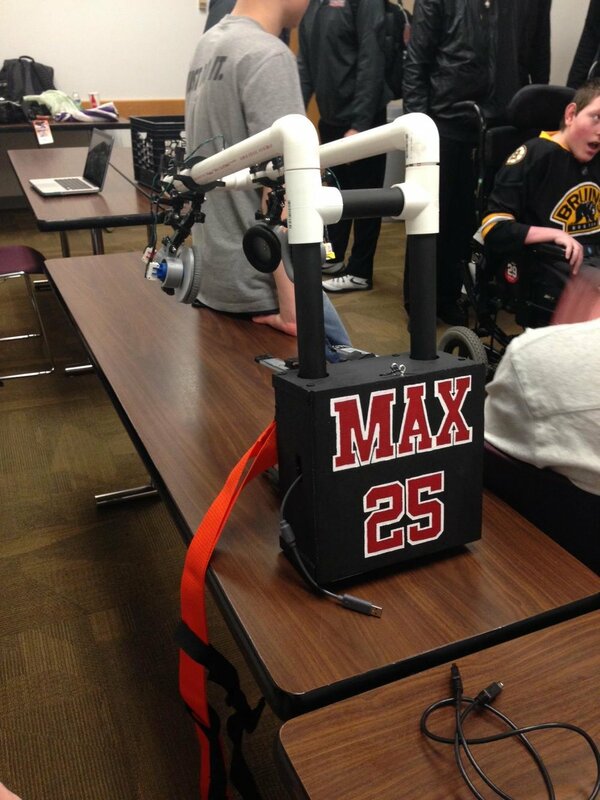 Max, an 18-year old boy has cerebral palsy and uses a wheelchair to move around. He has limited upper body movement, and speaks with the help of assistive technology. He enjoys playing video games, but currently can only play with the help of an adult. 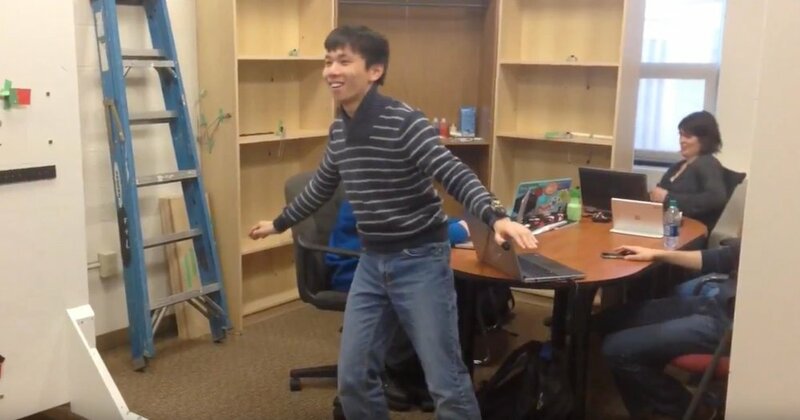 The goal of this project is to develop a system that allows him to play video games independently. The selected design mimics an Xbox controller with an adjustable button system. There are left and right joysticks that are separate from the rest of the controller, each large enough to be easily used without fine motor control in the fingers. A switch mechanism, located on the wheelchair’s head support, replaces the four main controller buttons. He controls it with his head. This design is much cheaper to produce than existing solutions and more comfortable for users. An initial prototype was completed and tested, and the team is revising it based on feedback. The kids at the For His Children Orphanage in Ecuador spend most of their time in wheelchairs. When NU Physical Therapy professors looked at pictures of the children from the previous visit, they noticed that they weren’t being positioned properly, which causes poor posture. Children who develop poor posture are particularly vulnerable to a host of health problems. Chief among them are muscle fatigue, a result of compensating for an inefficient skeleton, and increased strain on the spine, neck, hips, and knees that cascades into structural problems as children grow. Downstream effects include joint pain, reduced flexibility, asymmetrical muscle tightness, and deformity. Beyond the skeletal system, poor posture leads to uneven pressure on skin. Excess pressure, combined with shear and moisture from spending the day in a wheelchair, leaves the children at significantly higher risk of forming decubitus ulcers (bed sores). The team designed and fabricated a set of foam supports. When the children at the For His Children Orphanage use their wheelchairs, the caretakers use the supports to position them properly and maintain good posture throughout the day. The supports are adjustable to accommodate the children as they grow. The Positioning Pads were delivered to and tested at the orphanage in March, 2016.